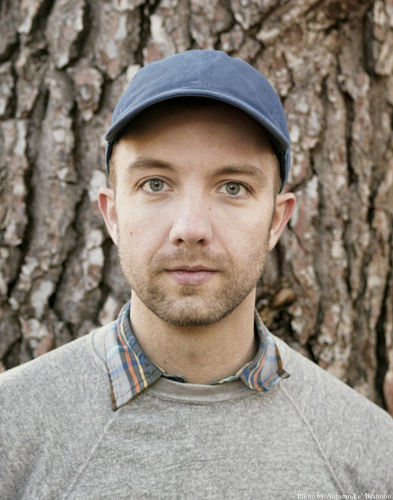 Canadian author Jon Klassen’s We Found a Hat, the third book in his picture-book trilogy (Candlewick Press) that includes I Want My Hat Back and This is Not My Hat, will be published in October. Klassen is travelling to the Sydney Writers’ Festival and Melbourne in May. Booksellers are best at this so I wouldn’t want to presume. It would include that it’s a three-part story about two turtles who find a single hat in the desert, and they both would like to have it. I’m toggling between two books that are both kind of set in the wilderness. The first is The Orchard Keeper by Cormac McCarthy (Picador) and the second is an old copy of Tales from an Empty Cabin by Grey Owl (various imprints) that I found in my favourite bookstore, The Monkey’s Paw in Toronto. The economist Angus Deaton’s The Great Escape (Princeton University Press). Anything by Cormac McCarthy. Also anything by William Steig. Probably Arnold Lobel’s ‘Frog & Toad’ stories (various imprints). Toad from ‘Frog & Toad’. I’ve heard from more than one person that I look a lot like Richard Scarry’s Lowly Worm, also. It might not be fair because I haven’t read the book, but The Shining by Stanley Kubrick is one of my favourite films and everything I have read about the changes he made during the adaptation is very interesting. http://blog.picturebookmakers.com has some of the best taste I’ve ever seen. I have no idea, but the good ones now will still be good then.